Water scarcity is requiring large industrial plants to investigate conservation options, including reuse of municipal wastewater effluent, in order to grow sustainably while meeting increased demands for fresh water make-up. 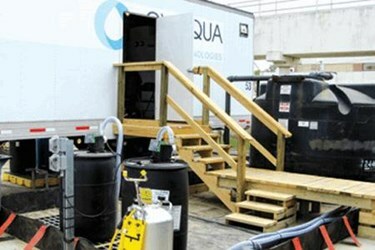 In some locations, utility companies and municipalities have teamed to build reuse facilities that treat effluent from multiple municipal plants and distribute treated water to multiple industrial sites. These centralized reuse facilities have the ability to minimize variations in the quantity and quality of treated wastewater, thus providing a reliable source of water for industrial facilities. Click here to learn more or connect with a product specialist.